Content pulled from conversations with: Pee Wee Murray, David Aiken, Brian Hulse, Robert Nelson, Henrik Bothe, Woodhead, Dave Rave, Fritz Brehm, Dave Altman, Linsey Lindberg. Robert’s Intro Theme Music: “Pendulum” Royalty Free Jingle available in Apple Computers’ GarageBand. Additional Music: “Organordion Waltz” & “When You And I Were Young Maggie Blues” as played by Hokum W Jeebs on his Piano ala Cart CD. Comments: On August 27, 2012, the Busking World lost one of it’s GREATS when Robert Nelson, the legendary ‘Butterfly Man,’ passed away in his home in Pahoa, Hawaii. Whether you knew him or not, whether you loved him or hated him, whether you got to see him live or only on video, his personality, his performances and his legendary stories have become intrinsically woven into the rich tapestry that is the world of Street Theatre. 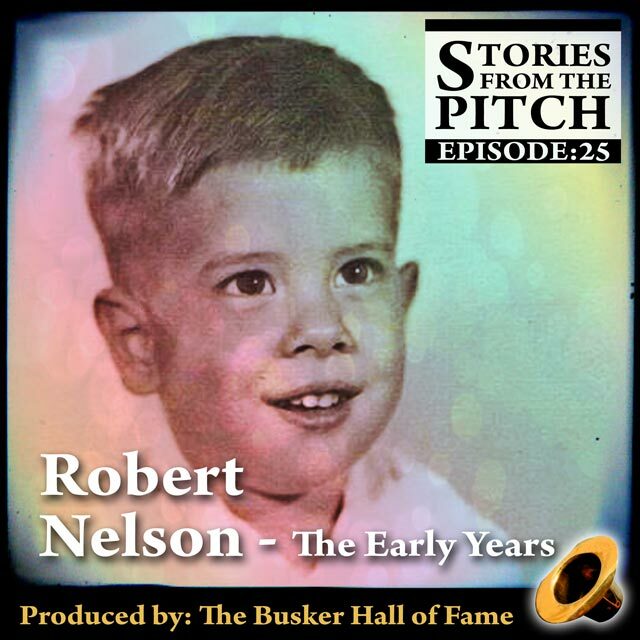 The Stories from the Pitch podcast was in part conceived as a way to get Robert Nelson to record some of his amazing stories while he was still with us. Though we didn’t really know what we were doing, we set out on this journey at the end of October 2011 and captured hours of conversations in which Robert ‘interviewed’ people via Skype and in person. The wonderful thing about most of these ‘interviews’ is that Robert was inevitably reminded about stories from his own life which he was more than happy to share with the person he was interviewing. 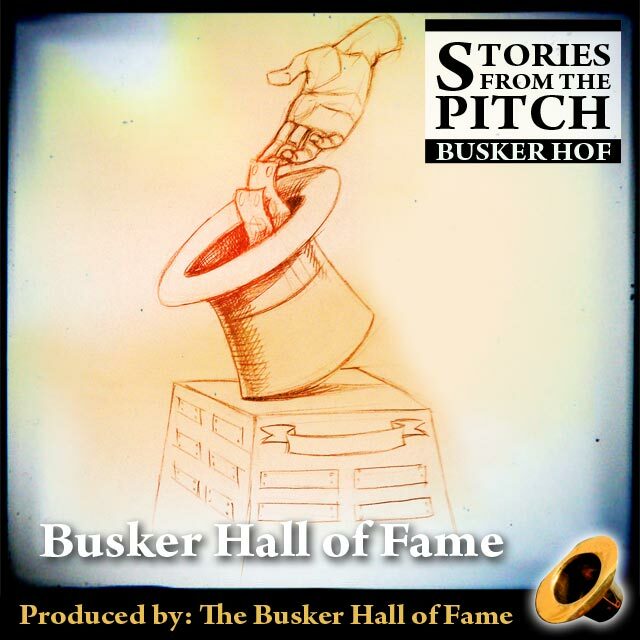 Over the past few weeks, the staff of the Busker Hall of Fame have been going back to the original recordings piecing together these moments when Robert shared the story of his life. We have far too much to include in a single episode, but we wanted to start paying tribute to this iconic jester on April Fools Day by getting the story started with a collection of conversations that tell the story of Robert’s early years as The Musical Juggler, Butterfly the Clown and his eventual metamorphosis into a fledgling Butterfly Man in Jackson Square, New Orleans. We also wanted to recognize his contributions to our world and immortalize the very best of what he represented by making him the Inaugural Inductee into the Busker Hall of Fame. Robert, you’ll be missed! This entry was posted in Bio-Episode, David Aiken, Interview, Linsey Lindberg, Robert Nelson, Street Performing. Bookmark the permalink. Just wanted to say thanks for doing this. I really miss robert and it was fun to laugh along with him once again as I listened to his great stories – if only I could have edited him like this in real life. I think the first words he ever said to me (after standing at the back of my crowd at Venice beach) were: “you do my show very well”.